The Franchise Agreement may provide for the contribution to an Advertising Fund by each Franchisee. Such funds are normally retained in a separate account and applied only to matters related to advertising. It is not uncommon for Franchisees, through their council, to assist the Franchisor in decisions on how this fund is applied. 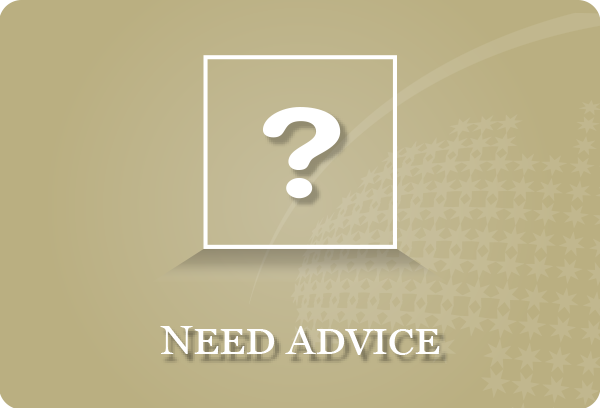 See "Franchise Advisory Council". The Advertising Levy may be a fixed fee or, more normally, a percentage of Franchisee turnover. The Franchise Agreement must provide for arbitration between the parties to the Agreement. Arbitration is a form of dispute resolution in the event of a disagreement between the Franchisee and the Franchisor, and is normally chaired by a nominated individual or body, as determined under the 'Franchising Code of Conduct'. The sale of a franchise by one Franchisee (assignor) to another (assignee) is called an assignment. The Franchisor will normally retain the rights to interview and accept any proposed buyer and may also retain the rights of buying the franchise back himself. The vendor Franchisee has the right to set the value of the franchise. It is normal for an assignment fee to be paid to the Franchisor, who will utilise those funds to train and induct the new Franchisee. A loan scheme by banks to provide the Franchisee with some of the finance required to buy the franchise. Often restricted to a maximum of two thirds of the total investment. Some banks have off-the-shelf packages for specific franchise opportunities, which they have previously evaluated and know. This is not a warranty by the bank, simply an acknowledgment that they have detailed information in-house about the business. A franchise in which the Franchisor provides the Franchisee with a complete format (blueprint) for the setting up and operation of the business, hence the name. Otherwise known as a Business System Franchise. The Franchise Agreement may include a clause giving the Franchisee the option to buy himself out of the franchise and continue to trade at the same site and in the same style of business, but as a totally independent owner. Such a clause is uncommon in Australian practice. A mandatory Code that governs franchising in Australia and is designed to guide the behaviour of franchisors and provide certain protections to franchisees. It is administered through the Australian Competition and Consumer Commission (ACCC). Units of the franchise which are owned by the Franchisor and operate alongside the Franchisees within the group. Such company owned units are normally obliged to contribute to group expenses such as advertising and marketing. Such units allow the Franchisor the ability to pilot new ideas and products without detriment to the operation of a particular franchise owned business. 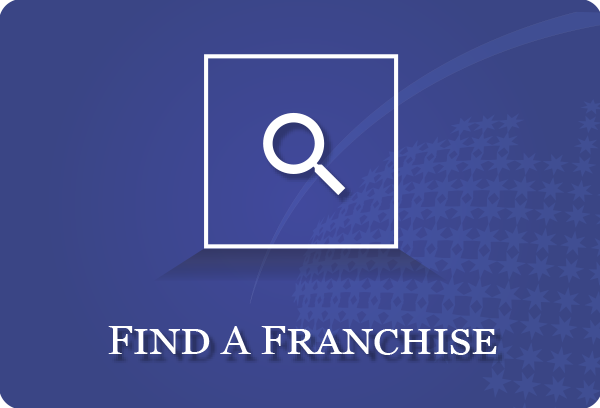 This document provides information about a franchise system, the franchisor and the franchised business. It must be supplied to a prospective franchisee, in accordance with the Franchising Code of Conduct. The withdrawal of the franchise by the Franchisor from the Franchisee. This is likely to occur when there have been persistent breaches of the Franchise Agreement by the Franchisee and such breaches have not been rectified. A mechanism for Franchisors and Franchisees to deal with disagreements. A requirement under the 'Franchising Code of Conduct'. A thorough examination of the franchise business before purchase. The Franchisor may choose to obtain his continuing income from the Franchisee through a fixed-amount monthly or weekly payment, or through a service fee calculated as a percentage of turnover, but carrying a minimum payment amount. Such arrangements are seen by their critics as a form of setting performance targets, which some would find unacceptable. The argument is that the Franchisee-Franchisor relationship is a partnership where both parties share the risks and rewards of success and failure. It is not uncommon to find a fixed service fee where the franchise business income is by way of small cash payments, which in itself would prove difficult for the Franchisor to audit or monitor. The contract entered into by the parties to the franchise in which all the obligations and responsibilities of each party should be clearly defined. Normally, such contracts are forty pages or more in length and it is of vital importance that any party consult with a legal adviser prior to signing an Agreement. The Franchise Agreement is normally signed on the day of settlement, from which time the Franchisee owns the rights. 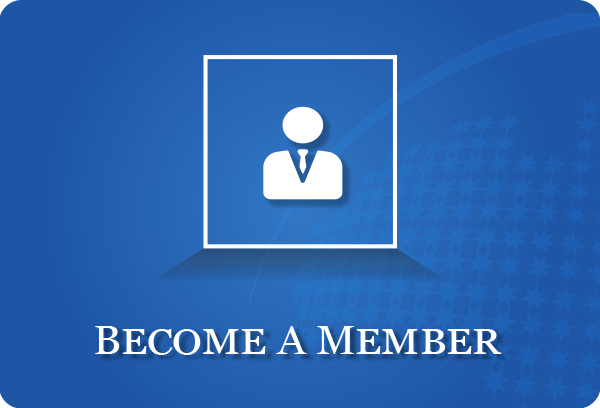 The Franchise Council of Australia Ltd (FCA) is a single organisation comprising of Franchisors, Franchisees, and advisors, with "State Chapters" meeting regularly in each State of Australia. The FCA has been established since 1982 and has produced a growing range of publications on the various aspects of franchising, as well as coordinating exhibitions and conventions. The up-front payment by the Franchisee to the Franchisor for the granting of the franchise rights. This fee is paid upon the settlement of the franchise to the Franchisee, once the Franchise Agreement is signed. This is the period granted for trading under the franchise agreement. Most franchise terms are on a renewable three or five year term but they can vary from one year to perpetuity. The person, partnership, or company who buys the rights to a franchise from the Franchisor. Also sometimes referred to as a Licensee, or franchise owner. Although Franchisees are normally individuals, they are, in some instances, major public companies. Where a company or trust enters into a Franchise Agreement, the Franchisor would normally ask the individuals behind it to also guarantee the performance of the corporate Franchisee. The Franchise Agreement may provide for the formation of a Franchise Advisory Council with Franchisees assuming the role of assisting the Franchisor with marketing or advertising decisions. Such Agreements may allow for the annual election of Franchisees to this Council. The franchising company which sells franchises in its system to Franchisees. The creator of a business format franchise system. A Franchisor should prove the success of his concept and his ability to pass his operating system to others by running company owned or pilot franchised operations before generally offering the franchise to the public. The value of goodwill in a business is normally only applied once a business is operational. It is calculated on the value of trade already established and which is likely to continue to the benefit of the new business owner. Trade marks, service marks, know-how and copyright. These often form an important component of the franchise system. The Franchisor leases the premises to the Franchisee at a rental, based on turnover, which also covers the Management Services Fee. This is close to approaching a landlord/tenant arrangement and may present problems in Western Australia because of that State's particular Retail Tenancy Act. See Franchisee or Master Licensee. This is marketing the franchisee is responsible for conducting in the franchise territory or designated marketing area. See "Service Fee" and "Fixed Service Fee". A regular flat or percentage based fee paid into a centralised advertising or marketing fund. A manual of information often provided to guide a new franchise owner in how to promote and effectively market their products or services into the community. Traditionally, such manuals will provide bromides of forms and posters to be used, together with details of how to monitor performance of the promotions conducted. Franchisors sell master licences to operate their systems in other countries, regions or States. Thus, an Australian Sydney-based Franchisor may allow his business to expand into Western Australia by the appointment of a Western Australian based Master Licensee, who in turn has the rights to sell franchises in Western Australia, providing it all of the local support services. Franchise agreements in such a situations are normally between all three parties, The National Franchisor, The Master Licensee, and the Franchisee. A form of direct selling by distributors to the public in their homes. Not a business format franchise. A Franchisee with more than one unit. Such Franchisees are usually a sign of the successful franchises which have proved their ability to be run under management, for naturally a Franchisee cannot actually operate in more than one place at one time. Very common in the U.S.A. but less common in Australia, where many Franchisors see a major component to franchise success being the actual day-to-day involvement of the franchise owner. For that reason some Australian Franchisors actually prohibit ownership of more than one unit. Franchisors offering more than one franchise concept. Manuals supplied by the Franchisor to his Franchisee as part of the franchise package to provide him with step-by-step instructions (the business system) on how to set up and operate the business to the correct specification and standard required. The manuals are copyright of the Franchisor and, as they contain the very essence of how to duplicate the business, they have to be treated with the utmost care and confidentiality. A form of direct selling to the public through "parties" in their home. Not a business format franchise. A unit of the franchise run by the Franchisor or under his close supervision during the "proving" time of system development, to demonstrate that the concept, system and procedures will provide a successful business and that the know-how can be transferred successfully to an inexperienced Franchisee. The pilot unit is the ultimate test bed for the Franchisor's training methods and manuals. The plant and equipment required by the Franchisee within the franchised business to operate the business in the manner laid down by the Franchisor. Normally paid for at settlement or immediately prior to possession of premises. The Trade Practices Act prohibit the fixing of a line of supply or prices. Most Franchisors with a business which supplies products or goods do, however, wish for a standard range of products to be supplied by their Franchisees. The Franchise Agreement may provide for the supply of products through a nominated supplier, and set guidelines for the acceptable standards of products to be used in the Franchisee's business. Should the suppliers nominated not be able to supply the nominated product, a Franchisee would normally have the ability to seek other suppliers, provided that the goods meet the standards set. "Old fashioned" franchise thinking was that a Franchisor could obtain an income from product supply. As that is more transparent and could provide an opportunity for abuse by interfering with end prices and their structure, most Franchisors now adopt only a service fee or royalty income. An arrangement, often associated incorrectly with franchising, which involves the selling of territorial rights through a pyramid, or tiered sub-licence structure. The promoters rely for their income on the sale of the tiered territories, rather than the sale of product or the success of the territory owner to provide service fees. Such schemes are now illegal in some countries. Franchise Agreements are normally granted by the Franchisor for a specific period (see Term). That period is broken down into units of time, perhaps five years, at which point renewal of the franchise is required. If the Franchisee has been in repeated breach of the Agreement then the Franchisor may exercise any rights he may have under the Agreement not to allow such renewal, in which case the franchise will lapse. If the Franchisee has performed to the Agreement, then the right of renewal is granted , subject to any newly written Franchise Agreement being put in place. That new Agreement may be in different wording, but cannot alter substantially from the original agreement made at the outset. Royalties, service fees and advertising levies cannot be amended. A renewal fee of $1,000 or more may be applied to cover the Franchisor's costs at renewal, but again that amount is stipulated in the original Franchise Agreement. Another term for Service Fee but, in fact a misnomer because service fees are calculated on the same basis as royalties (percentage of gross turn-over). In essence, royalties are a form of passive income which requires little or no effort from the recipient. Examples are copyright or patent royalties. The Franchisor will obtain his continuing income, required to support the Franchisee, by way of a weekly or monthly fee, normally expressed as a percentage of Franchisee turnover. Otherwise known as Franchise or Management Royalty. Similar to trade marks, but applicable to services rather than actual products. The granting by the Franchisor to the Franchisee of the rights to use his service marks, trade marks and copyright material (Operations Manuals, etc.) is a basic element of a franchise package. One important obligation of the Franchisor is to prevent his marks from being used by any unauthorised person in order to protect the interests of his Franchisees, who, in their Franchise Fee, have paid for the right to use those exclusively. There are laws which protect service marks, similar to trade marks. Sub-franchises are franchises granted within the territory of an existing Franchisee, and are usually allowed to be granted when the original Franchisee reaches a point in business development whereby they cannot sustain any further growth from the one unit or outlet. Each agreement will vary, but it is normal for a Franchisee who owns a territory to be allowed to offer the sub-franchise to another and take profit form that offering. However, it is also normal for the Franchisor to actually grant the new franchise, and to also receive an up-front franchise fee to cover training and induction of the new franchise owner. The period of time for which the franchise is granted. "Old fashioned" franchising concepts used to grant terms as short as one, three or five years. Modern thinking is to grant terms of ten, twenty or thirty years. Most Franchise Agreements will provide an exclusive geographic area or territory in which the Franchisee may operate without fear of competition from within his own group. This may not always be possible, especially when the business is perhaps a mobile "instant response" service. A franchise in which the franchised unit is completely fitted out, equipped and stocked for the Franchisee, ready for opening day. A term taken from the computer industry when you turn the key and the total system starts to operate. This term is often applied to retail franchised operations.